All Capital Stoves come with full manufacturer warranty and 1 free additional year provided by Red Door Warehouse. Capital Stoves are hand built in California and Designed by Industry Leader Mr. Surjit Kalsi; designer of the very first commercial grade residential gas stove. Select the perfect width for your kitchen. Chose between 30", 36", 48" and 60". 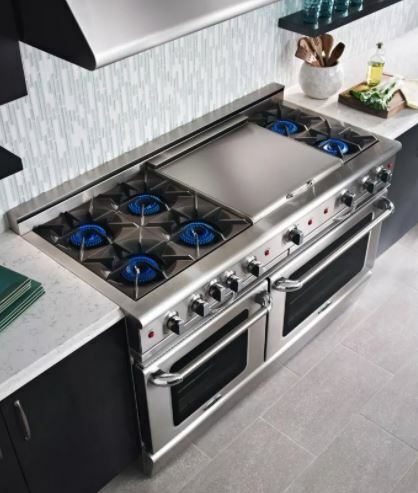 Certain configurations include built-in streamlined Thermal Griddles and/or BBQ Grills. 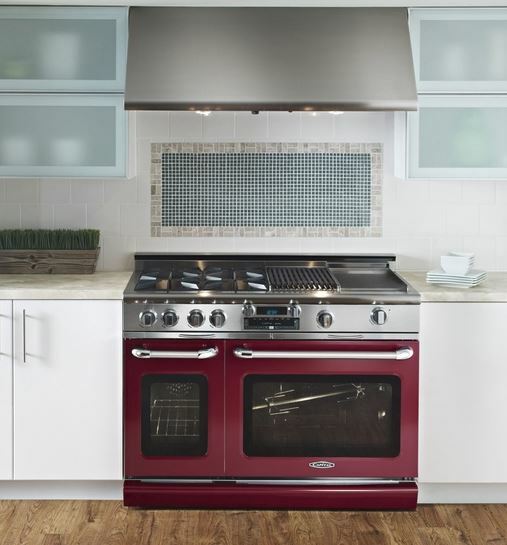 Commercial Size baking sheets fit in even a 30" Capital Stove. Connoisseurian Series include a Built-in Rotisserie. Easily keep an eye on your meal with extra large oven windows. Add some colour to your kitchen. Choose any colour and Capital will built it for you. 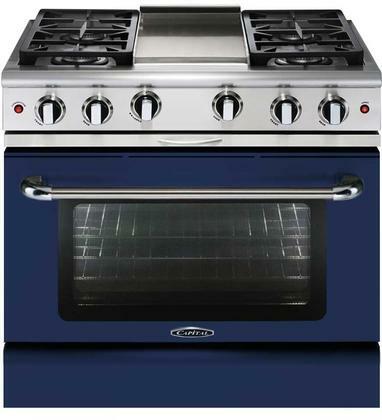 To find the perfect stove for you, start by choosing from the 3 lines of Capital Stoves below.